The FIRM Eco Crystal Protective Coat - A recycled powdered coloured glass aggregate. CSIRO current ongoing testing through their accelerated Aging Chamber so far prove that after 30 years simulation for exposure to UV and all the weather elements has shown little to on change to colour or structural appearence ... Another world first! Eco Crystal Australia was formed only a few months now and all ready have sold over 20,000 m2. We have been working with our manufactures Totally Crystal to bring to the market a green coating system that has no maintenance. Totally Crystal is a company owned by three partners with 64 years of experience in manufacturing of binders, glass sizing and coulouring also concrete filling and spraying. Eco Crystal use only acrylics and crushed couloured glass to give maximum elasticity. As there is no sand or cement used in our product rust and stains are eliminated. 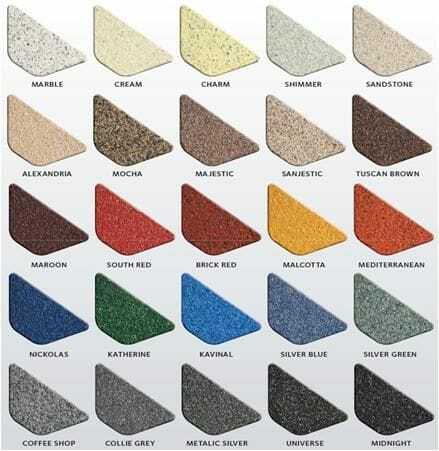 	Eco-crystal is a recycle colour glass aggregate pre-mix that is sprayed on in a single application to create a relatively smooth textured and stone like finish. 	It is designed for decorating, restoring and protecting the exterior and interior of buildings .It is low maintenance and readily acceptable for all kinds of commercial, industrial or home building. It comes in a variety of colour and can be sprayed on new and old surfaces that need a decorative finish. Our product usually only needs one coat, sometimes depending on substrate we may need an undercoat in some areas to get an even colour. 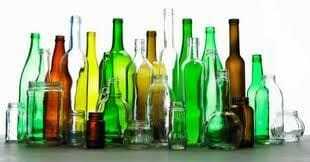 glass conserves more than 1.1 tonnes of raw materials per tonne.